There’s never been a better time to be in the education business. According to one report, the global eLearning market is projected to reach $243.8 billion by 2022. Meanwhile, another study found that 5.5 million American students are studying partially or fully online, and that number is projected to rise precipitously in coming years. Interestingly, the study also found that one-third of people who pursue online education do so loyally by only engaging with one institution or brand. 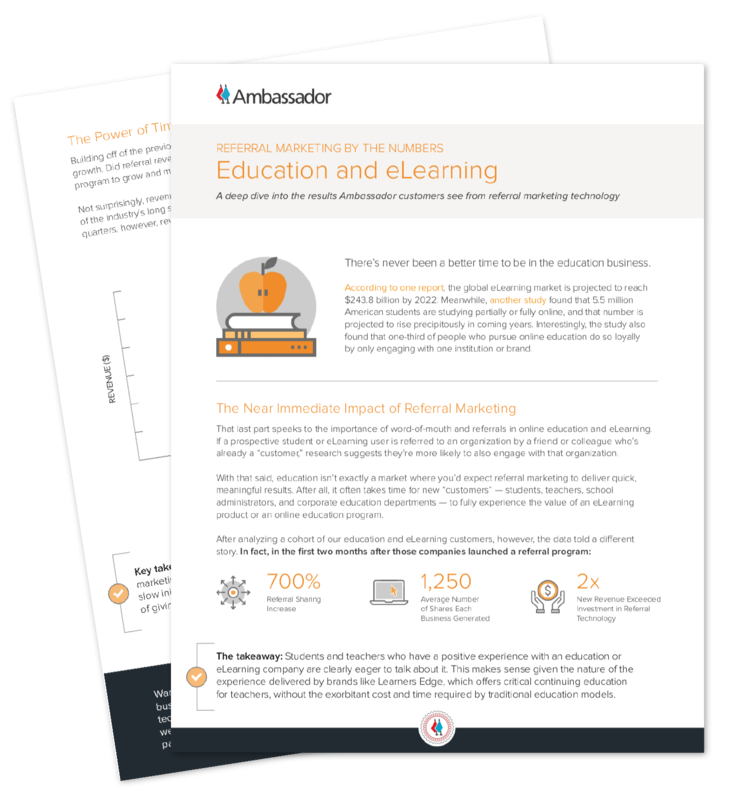 This means that when an education or eLearning company combines an excellent product or service offering with a well-managed referral marketing strategy, it creates a powerful branding and acquisition channel that compounds over time. Let’s dig deeper into the data - fill out the form to get started!